Create a new class named as ‘NumberSeqReference_ASM’. Here for document code I have created a number sequence. ‘DocumentCode’ given in this method is a extended data type.So it is necessary to create extended datatype.if u want to create numbersequence for ‘equipment code’,u have to create extended data type for it. //Suppose if u want to add more number sequences just copy the 8 lines before and paste it here and change the extended datatype.before I created for document code. 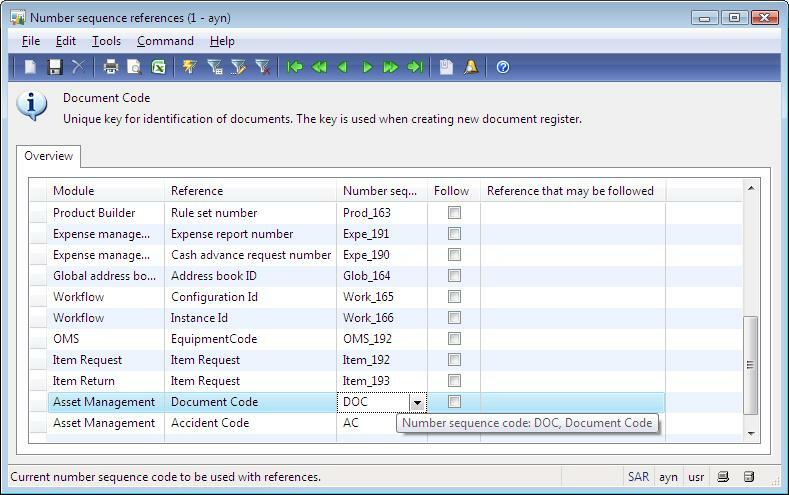 Now Go to basic module in dynamics ax and under the setup menu you can find the number sequences.you will have two forms in it.i)Number Sequences ii)References. Create a number sequence and set its format. 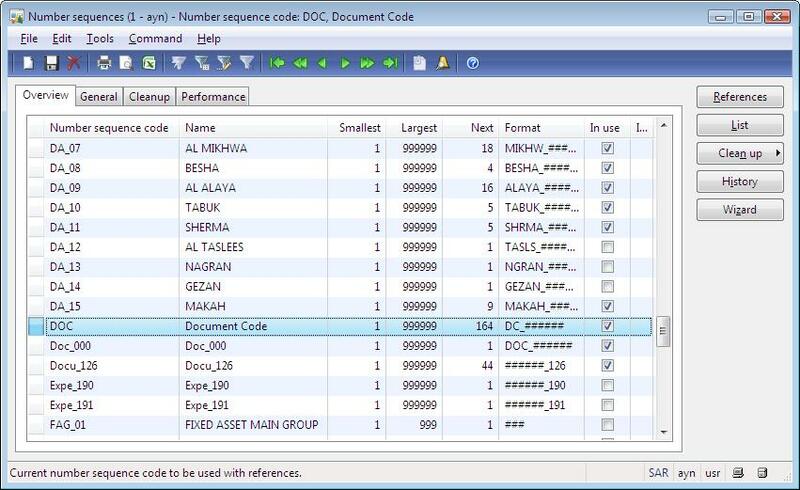 Assign the numbersequence which is created in the previous screen to the document code which was add in the loadModule() method.The ED T added in the load module method will be listed in this screen as shown in below screen. ‘ASM_DocumentRegister’ is a table and numRefDocumentCode() is a method in it.same like this create a method in the table under this method. ‘DocumentCode’ is a extendeddatatype created before. fieldnum(ASM_DocumentRegister,DocumentCode) in this ‘DocumentCode’ is the name of the field.